Reuse, Recycle, Upcycle – few sustainability issues at the moment are setting the world of textile companies alight - and in such an all-pervading way across all areas - as the notion of value creation in the circular economy. Where does this enthusiasm come from? Is it justified? And what different approaches already exist? An exclusive article by Alex Vogt. 'Maska' is the Swedish word for knitted fabric. So, it is no surprise that knitwear figures large at this Swedish label, with its headquarters in Gothenburg. It was a passion for this traditional textile technique and for natural materials that inspired Maria Svensson to launch the label in 2009. Her objective: to create high-quality clothing through the perfect harmony of yarn, material and design. Every product tells a story – in textile manufacturing not infrequently one of exploitation, inhuman conditions and low wages. Not so at Berlin's fair fashion label, Folkdays; here, behind every fair-trade item of clothing and accessory there is a quite special story waiting to be told. And, since May 2016 and after a three-year online presence, they are now in their own store in Kreuzberg – for stories are best told face to face. Fashion with an endless value. Is that possible at all? The designer, Ina Budde, says "Yes, it is" and developed her 'extended closed loop’ model: a closed textile loop thanks to recyclable design, circular business models for reuse and infrastructures for closed loop recycling. In the world of fair fashion she is one of the most well-known faces and champion of the ethical fashion movements in England. To celebrate the 25th anniversary of PeopleTree her sustainable fashion label, Safia Minney has now published her book, "Slow Fashion. Aesthetics meet Ethics" to provide an insight into the world of sustainable fashion. The book features portraits of a selected group of innovative and inspirational people - from fashion influencers, to designers, social enterprises and concept stores. The aim is to inspire the reader to become part of this transformation. Liberalisation of the textile market. What impact does increasingly globalised free trade have on the textile market and the people who work in it? This is the question investigated in the study by the Otto-Brenner-Foundation entitled 'Consequences of Free Trade' which provides an important macro perspective on the consequences of liberalising the textile market. It is at this point that we present personalities whose work has left its mark on the Eco-fashion Industry. Three questions are posed to John Mowbray, owner and founder of the British B2B media platform for textiles, MCL Global, as well as editor and publisher of the journal, Ecotextile News. The current GOTS version is being revised, Textile Exchange has launched a new wool standard while the Fairtrade textile programme can boast its first partners and the Partnership for Sustainable Textiles initial results – standards offer solutions for sustainable textile production and orientation for buyers of sustainable clothing. Thus, they make a significant contribution to bring about improvements for the sector as a whole. The fifth ‘Young Creations Award: Upcycling’ has been announced. In 2017, Heimtextil and the German Interior Decoration and Furnishing Association (Zentralverband Raum und Ausstattung – ZVR) will once again honour upcycling projects by young designers in the categories Upcycling Object’ and ‘Room Concept’. Up-and-coming designers, interior architects and young master craftspeople are called upon to enter for the competition by 11 September 2016. Selected entries will be shown and the winners selected at the coming Heimtextil from 10 to 13 January 2017. 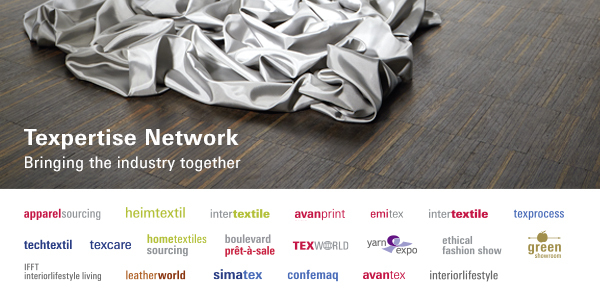 Intertextile Shanghai Home Textiles and Intertextile Shanghai Apparel Fabrics are increasing their emphasis on sustainability as from the coming events in October 2016: special exhibitions, new exhibitor labelling and lectures and discussions will draw attention to sustainable alternatives and strengthen the ecological spectrum.